Oxford Open Learning Blogger and English Teacher Anne Thomas continues her series famous literary figures for Black History Month. One of the earliest classic novels I read at my secondary school was The Count of Monte Cristo, written by Alexandre Dumas one of those books with everything for a 12 year old girl, excitement, history, romance, mystery and I was inspired to find out more about this wonderful writer. I was fascinated to find out that not only was he the grandson of a French nobleman, he was also the grandson of a mixed race slave and faced discrimination during his lifetime because of his dual heritage. 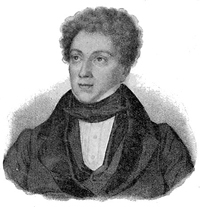 I was interested to discover that the Russian writer Alexander Pushkin who wrote Eugene Onegin was also of dual heritage; his great grandfather had been a black African who was bought from the Sultan of Turkey as a young man and brought to Russia where he became a respected military engineer. At university I studied the literature of the Victorian era and was entranced by the life and larks of Adah Isaacs Menken, an American artist who acted, danced and sang her way through Victorian literary society in England and America becoming the friend of writers like Mark Twain and Charles Dickens – and rather more than a friend to Swinburne! I was surprised to find out that yet again, no one had told me that this fascinating free spirit was the daughter of a Frenchwoman and a freed black slave. I was even more interested to find out that the composer Samuel Coleridge-Taylor, famous particularly for his Songs of Hiawatha who was born in 1875 in Theobalds Road in London, five minutes away from the flat I shared with two fellow students, was also of dual heritage, his father was a black African from Sierra Leone. I can only imagine the challenges that these individuals faced and overcame in their lives and wish that more people were aware of the major contribution that those of dual heritage have made to our literary and cultural lives.